It’s waaaay past time for an update. Here’s what Colin and I (Sarah) got up to for the past 2 years. With the power of source control, I can look into the past and see exactly when everything happened! October 2016: I created a new repo for a project called “There”. 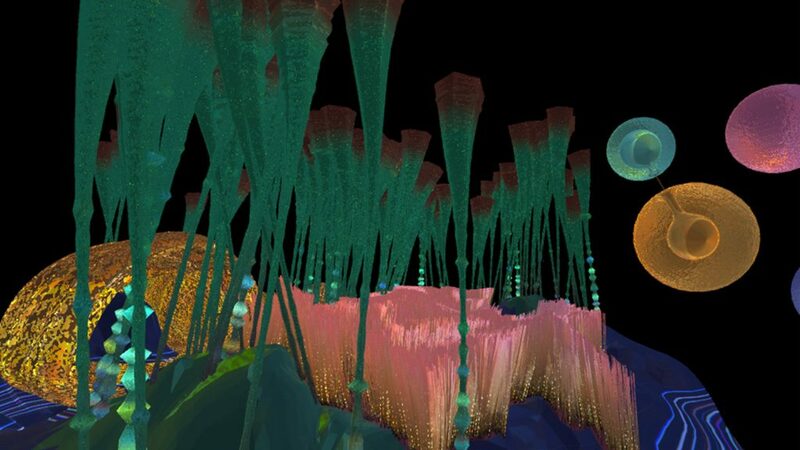 Colin was fascinated by the incredible art and experiences people were creating in VR, and wanted a central place where people could go to enjoy it. 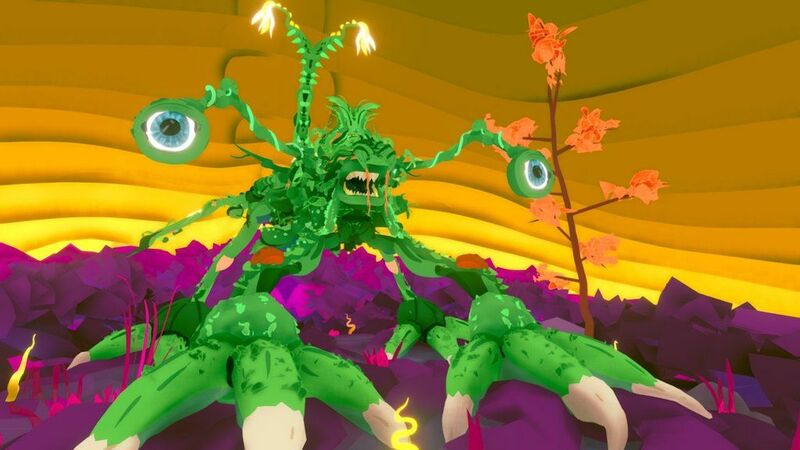 It was initially going to be a monthly bundle of VR toys and interactive art connected through a free multiplayer lobby. Over time the lobby grew to become the gallery itself – now known as the Museum of Other Realities. February 2017: Designer Robin Stethem joined the MOR team. I left to prototype my own VR games. 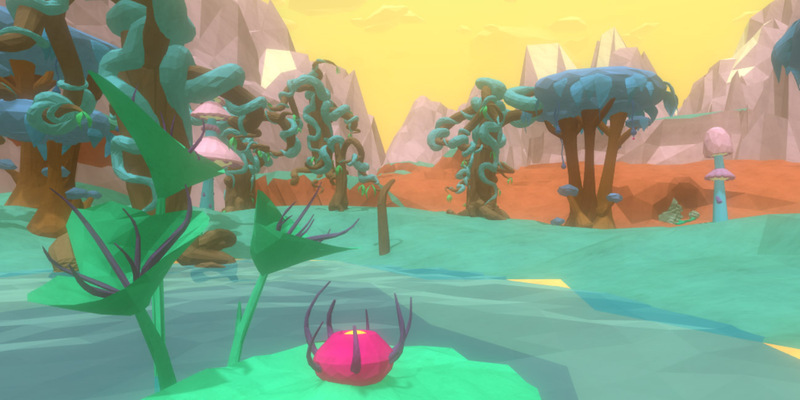 March 2017: One prototype became Machete Garden, a VR game about exploration and farming on an alien planet. I created the art for it inside my Vive using Gravity Sketch and Tilt Brush. I got all excited about the future of graphics tools, having found 3D modelling suddenly so intuitive and easy in VR. I enjoyed working on the art, something I haven’t done for many of my games. April 2017: Colin sent out the first multiplayer pre-alpha build of the MOR (called TH-er at the time) to friends and VR artists. The online space was a hit, and monthly updates have followed since then, with a private virtual party to celebrate each time a new exhibit or gallery wing is added. May 2017: Maris Tammik and Em Halberstadt from A Shell in the Pit Audio began adding sound to the MOR. August 2017: I shelved Machete Garden. I just couldn’t see myself wanting to play this game, as it was more about enjoying the space and discovering new species than any serious strategy. I’d hoped to release it through one of the MOR’s monthly interactive experience bundles, but as that project pivoted towards an art gallery I had to consider releasing Machete Garden as a standalone game. I felt that would be pointless unless I radically deepened the gameplay. I was also sick to death of fighting with 3D physics and optimizing 3D graphics. And finally, I wanted to tell the story of why you’d volunteered to come to this lonely planet, but was faced with having to do it using full voice recording and no justifiable budget. I decided some of these problems may just solve themselves in a few years, and decided to put Machete Garden – and VR – aside for now. Also August 2017: I started a new game, initially codenamed Princess of Mars and now called I Was a Teenage Exocolonist. More about it soon! 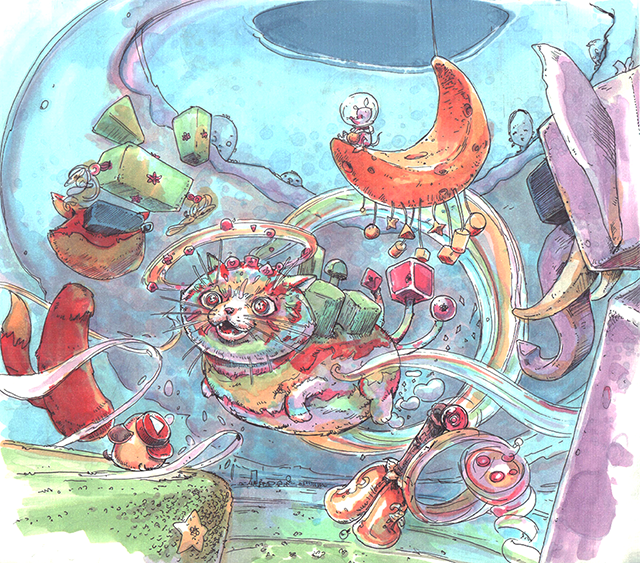 January 2018: The Museum of Other Realities was incorporated into its own thing separate from Northway Games. It’s so big you can easily get lost in it now. 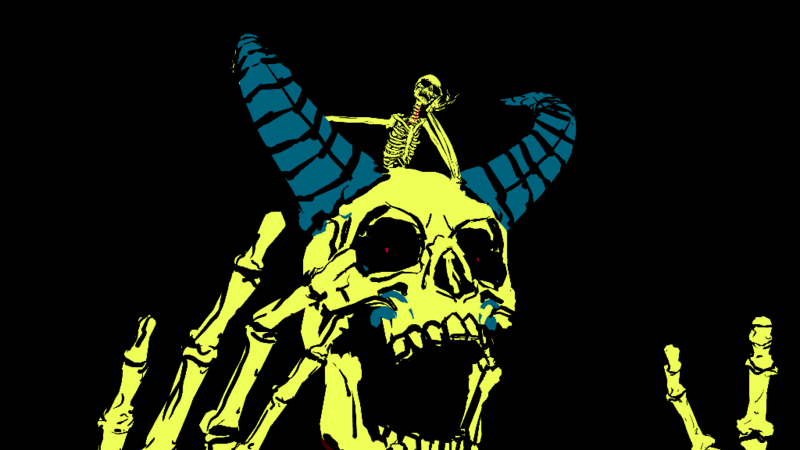 30+ works range from intricate tilt brush pieces on pedestals, to recreated 3D photogrammetry ruins, to a whimsical rainbow dance room, to a giant skull filled with creepy cackling skeletons. April 2018: The MOR was so bursting at the seams with art that Colin and Robin added a second floor. 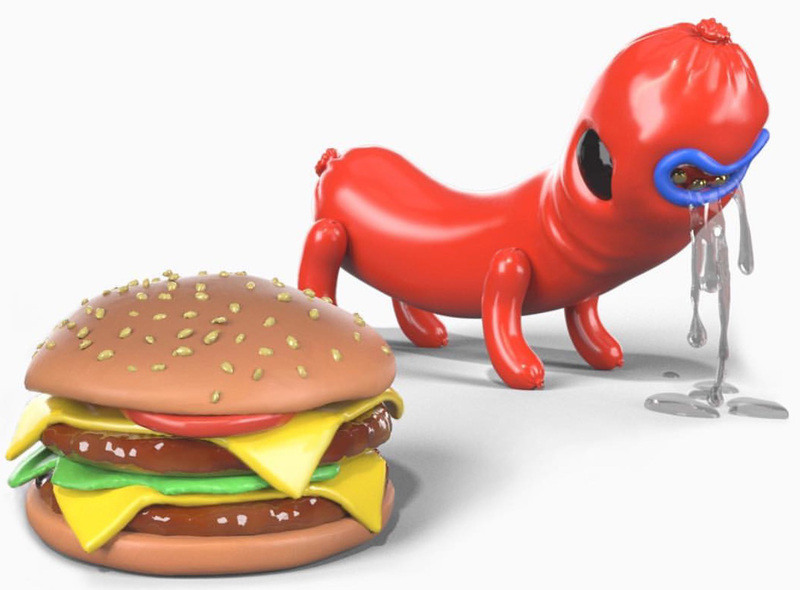 They started experimenting with a donation system, and a strange crypto currency art-purchasing experiment featuring works by John Orion Young. August 2018: After trying to do all my own art for Exocolonist, I came to my senses and hired two artists to bring my game to life. And this brings us more or less to today. 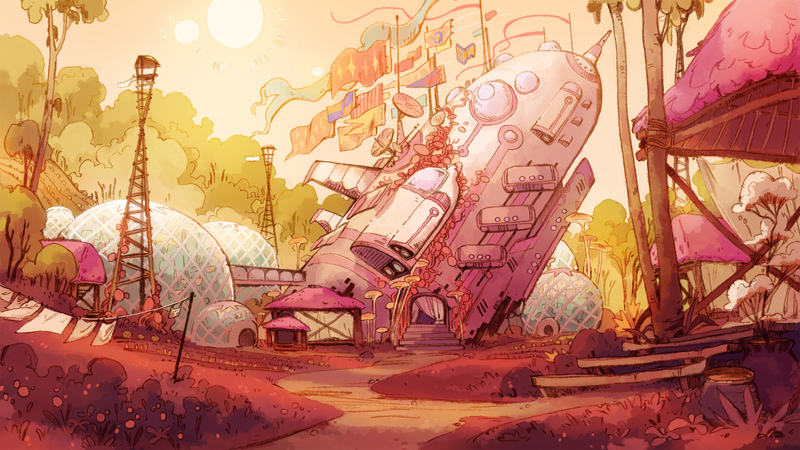 More about Exocolonist including concept art in my next post! 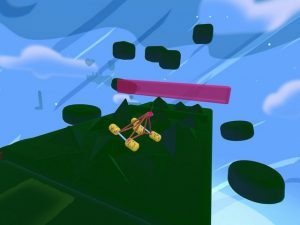 Thanks to a ton of hard work at Radial Games, Fantastic Contraption will be coming to PS VR next week! Here’s the announcement (reposted from the Official Playstation Blog). Chris Floyd from Radial Games here, with an exciting message from our giant videogame zeppelin flying high overhead. We’ve been working day and night to create a most exquisite and whimsical virtual reality morsel: Fantastic Contraption for PlayStation VR! That’s right! We’ve been having a blast creating Fantastic Contraption for PlayStation VR, and we’re excited to announce that we’ll be sharing all of our hard work with you on Tuesday, July 11th, 2017. National Fantastic Contraption Day, mark it in your calendar! It will retail for $19.99 usd with an extra launch-week-special 10%-off if you have PlayStation Plus. Seated Gameplay Specifically Designed for PS VR – The Most Relaxing Way to Play FC! 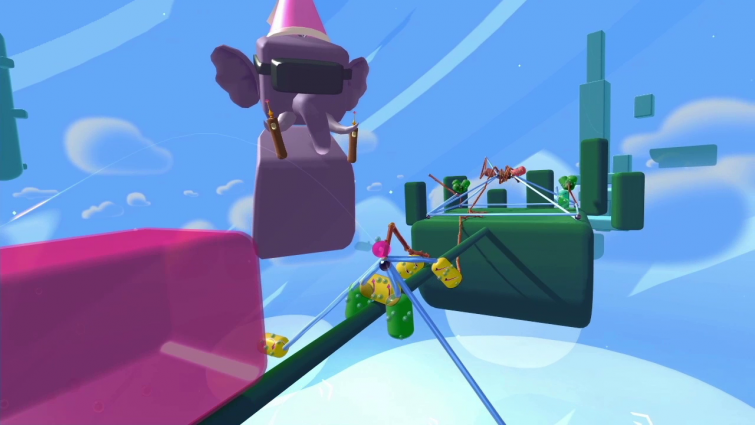 Sure, you could stand around, windmilling your arms in our magical virtual reality wonderland, but now you have the choice to sit back and play Fantastic Contraption right from your couch! Imagine! We redesigned the gameplay experience especially for PS VR, taking advantage of the likelihood that you have a favorite place to relax in front of your PlayStation 4. We’ve included special PS VR-only features that allow you to resize and position your gameworld at the press of a button, which we’re sure you’ll find slick and amazing. 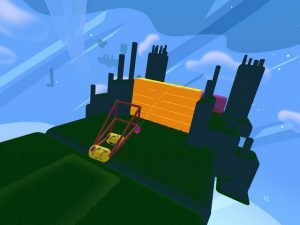 It has fast become my favorite way to play, and makes contraption-building feel a whole lot like model-making, which we are Very Big Fans of here at Radial Games. 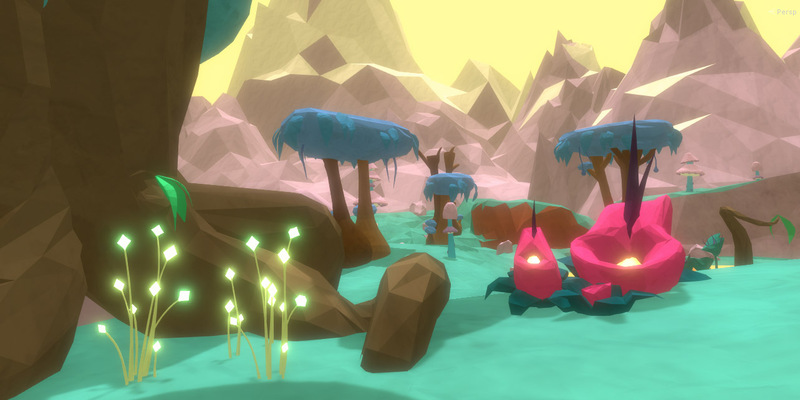 We have a handful of brand-new, PlayStation-exclusive levels in the release. Try your hand bouncing around some moguls, attacking a big-bricked wall, and more! We’ve designed a few challenges specifically around seated play, and we know you’ll enjoy them. Welcome to Resize Island, where you can dynamically resize the entire world around you! This opens a world of customization for your preferred way to play. You can make the world really huge to fit your standing-style gameplay preferences, or shrink it all the way down to fit on your lap, where you can marvel at tiny Neko. That’s right, THE CAT RESIZES TOO. You can do anything in videogames. 8xAA – We averaged out all those sharp corners for smoother looking curves! Higher-resolution textures – you can almost smell that wood-grain! 125% resolution oversampling – A fancy way of saying that things look real sharp in there. Let us know below what you’re most looking forward to, and I hope to see you having a great time with Fantastic Contraption when it launches next Tuesday! 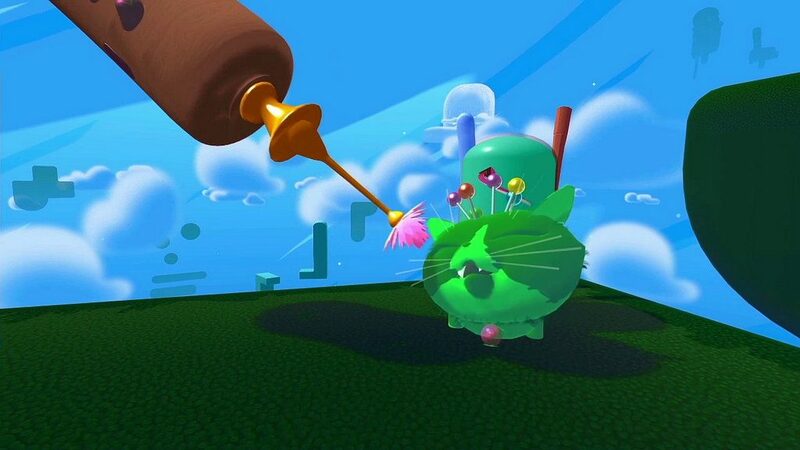 This is the last update we originally planned for the game, making 1.6.0 the final cherry on the Contraption sundae. As Andy Moore says in the video above, we think the level editor is a key piece to the Contraption experience. The original 2008 Flash game had 47 official levels, and half a million user-generated ones. Not only did player-made levels give the game more content, they let people come up with whole new ways of playing that we hadn’t even considered. Ring the bell to summon the Sarahfox, your tutorial guide to the Level Editor (voiced and acted by yours truly!). She’ll introduce the basic controls: grabbing, stretching, copying, and using the precision movement flowers. We recorded the Sarahfox’s movement using a system we wrote into the game, so she can interact with pre-scripted objects and give a demonstration right front of you. It’s remarkable how much life a character can have in VR using only 3 points of motion capture data. 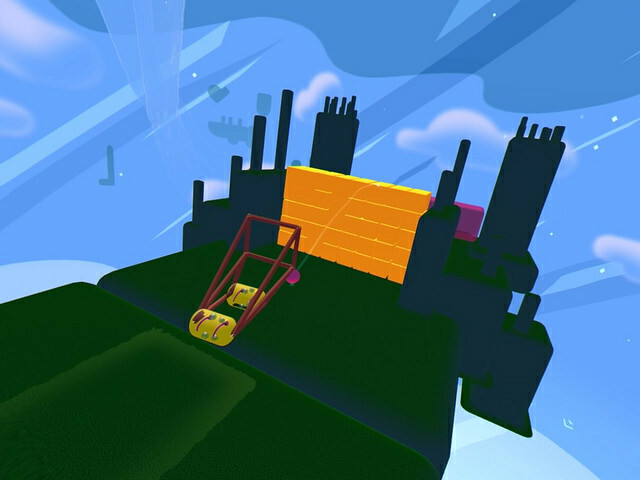 Contraption pieces will be saved along with the level terrain, so make sure to delete them when you’re done testing, unless you want to include them as a challenge or example to people who play your level. It’s also possible to save levels that don’t have a goal or are missing a goal ball. We recommend testing before you save! If you save a level you made to any shelf on the save table, it will be published online. To delete your saved level or contraption, throw it into the Trashcan Frog’s mouth. Grab Lippy or double-tap the trigger to call him down to you in the dark world. Move him over to the maquette minimap to name your contraption or level (if no name is set, a random one will be chosen when you publish online). You can also move Lippy to the save table to filter it by contraption or level name. For example searching for “mi” will find things named Steep Mitten or Miserly Devil. We’ve seeded the user-made levels with some we designed that didn’t make the official cut, or that we’ve been inspired to create since trying out the new editor (which is much easier to use than our old system!). To check them out, enter the dark world and set the save table’s mode lever (the one on the right) to Levels, then use the left lever to select Levels by Rating or Levels by Date. 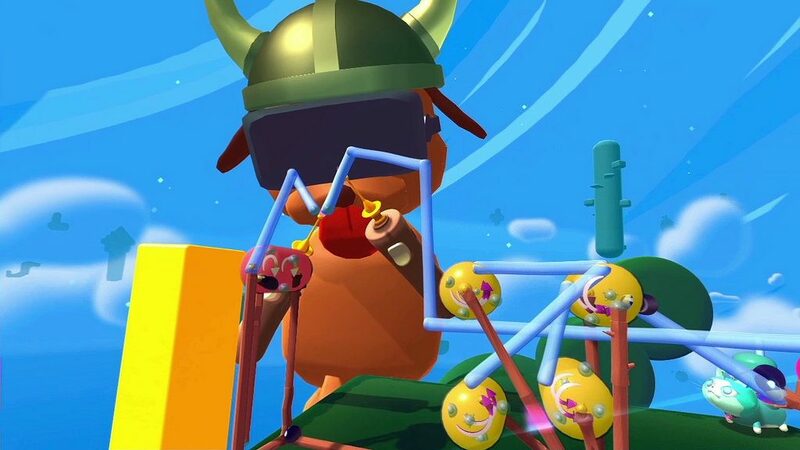 Don’t forget you can favorite user-made levels (or contraptions) by giving them a kiss. This feeds into the online ranking for the Levels by Rating shelf. Zumi Mouse didn’t live in a house, he wanted to live on the moon! And round his head put a balloon. And Zumi had plenty of holes he’d accrued. Zumi’s home is his favorite food! We don’t have any more major updates planned for Fantastic Contraption, though we’ll continue to maintain the game and support new hardware (the PS VR version is coming soon!). Radial Games and Northway Games will be moving on to new (and so far unannounced) things next. New Level editor! To use it, first put on the helmet, then put on the creepy mask in the corner and ring the bell for a tutorial. User-made levels can be shared online and loaded via the save table just like contraptions. Cheers and happy 2017 from the Fantastic Contraption team! Our friend (and Rebuild 3 writer) Stephen Gray has joined Radial Games to work (among other things) on the PS VR version of Fantastic Contraption, due out in Spring 2017. Kert Gartner used some wacky techniques to film this and our Oculus Rift trailer, and today he shared some of the cinema techniques he used to get shots you usually only see in movies or tailored cutscenes. He also filmed gameplay footage in 4k split screen so he could get 1st person and 3rd person shots with both the Oculus Touch and Playstation Move controllers all at the same time.